Superior General of the Clerics of St. Viator. The Mass and installation ceremony took place in the historic church where Fr. Louis Querbes had served as pastor, St. Bonnet Church in rural Vourles, outside of Lyons, France. Fittingly, the ceremony took place on Sept. 1, the anniversary of Fr. Querbes’ death. After the Mass, Fr. Egan led the group of Viatorians to visit the gravesite of Fr. Querbes, located in Vourles. Fr. 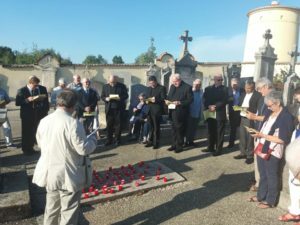 Egan leads a prayer service at the gravesite of Fr. Louis Querbes in Vourles. Along with Fr. 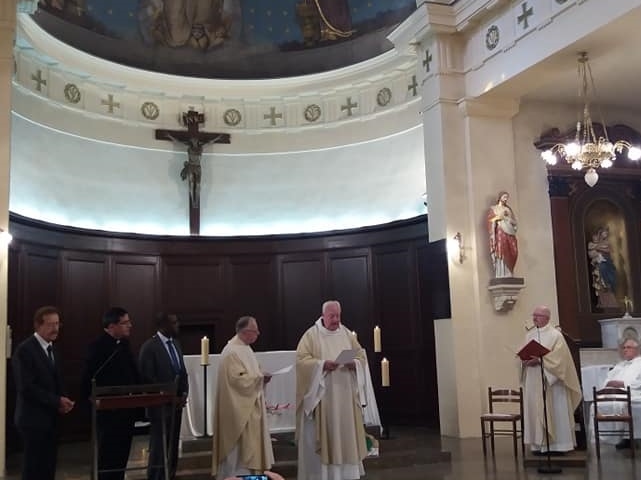 Egan, members of his new General Council also were installed, and they reflect the growing international diversity of the Viatorian Community. They include: Fr. Claudio Ríos, CSV, of Chile, Fr. 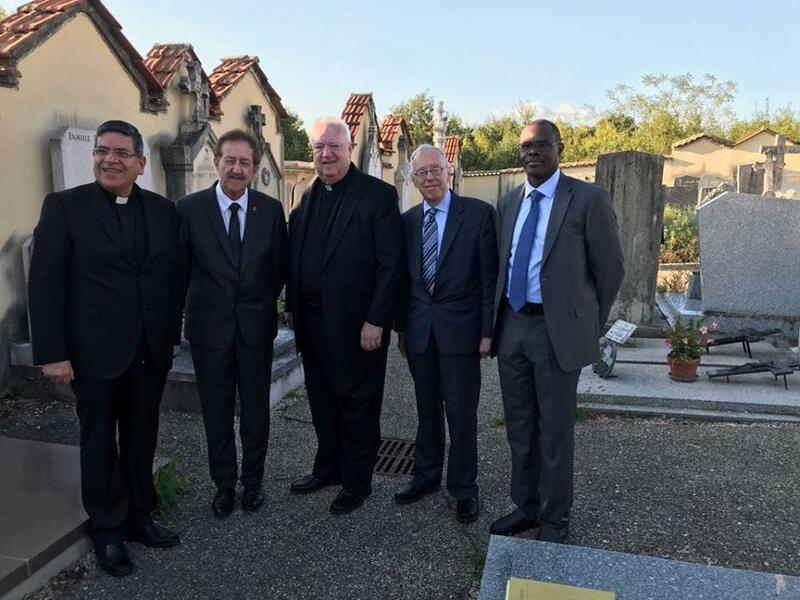 André Crozier, CSV, of France, Fr. Claude Roy, CSV, of Canada and Fr. Robert Jean, CSV, of Haiti. Members of the new General Council include (L-R) Fr. Claudio Ríos of Chile, Fr. André Crozier of France, Fr. 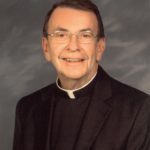 Robert M. Egan, superior general, Fr. Claude Roy of Canada and Fr. Robert Jean of Haití. Fr. Egan is only the third American to be elected as pastoral leader of the worldwide congregation and the second of the last three leaders to have attended Saint Viator High School. Fr. Egan now leads more than 700 Viatorians, including its 421 professed members and more than 300 lay associates. They serve in ministries around the world, including in Bolivia, Burkina Faso, Canada, Chile, Colombia, France, Haiti, Honduras, the Ivory Coast, Japan, Peru, Spain and the United States.